Japan’s All Nippon Airways (ANA) will launch direct flights between Tokyo’s Narita Airport (NRT) and Mexico’s capital Mexico City beginning Feb. 15, 2017, making ANA the first airline to operate direct flights daily between Japan and Mexico. The new flights are expected to greatly increase convenience and flexibility for business and leisure passengers traveling between the two countries, as well as passengers from other Asian countries taking advantage of smooth transfers at Narita Airport, according to the airline. At present, ANA customers bound for Mexico City International Airport (MEX) must connect through San Francisco International Airport (SFO), then fly on Star Alliance partner airline United (NYSE:UAL) from SFO to MEX. The economic ties between Japan and Mexico, particularly in the automotive industry, are growing stronger every year and are expected to expand further. In the five year period starting in 2010, direct investment in Mexico from Japan increased by approximately 2.7 times, according to data from the Japan External Trade Organization, while the number of Japanese-owned companies setting up operations in Mexico roughly doubled, according to statistics from the Ministry of Foreign Affairs of Japan. Flights will depart NRT at 16:40, arriving at Mexico City at 13:55. Westbound flights will depart MEX at 01:00, arriving at NRT at 06:35 the following day, due to crossing the international date line. Schedules are subject to the agreement of the relevant authorities and are therefore subject to change. With the addition of the new flights, Mexico City will becomes the 42nd international destination in ANA’s expanding network. 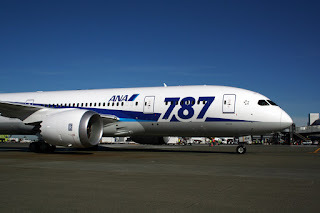 The new route will also become ANA’s longest flight, and will be operated using a Boeing (NYSE:BA) Dreamliner 787-8 with 46 Business Class seats, 21 recliner seats in Premium Economy and 102 standard Economy Class seats, “[T]o ensure that all passengers have a comfortable in-flight experience,” according to the airline. 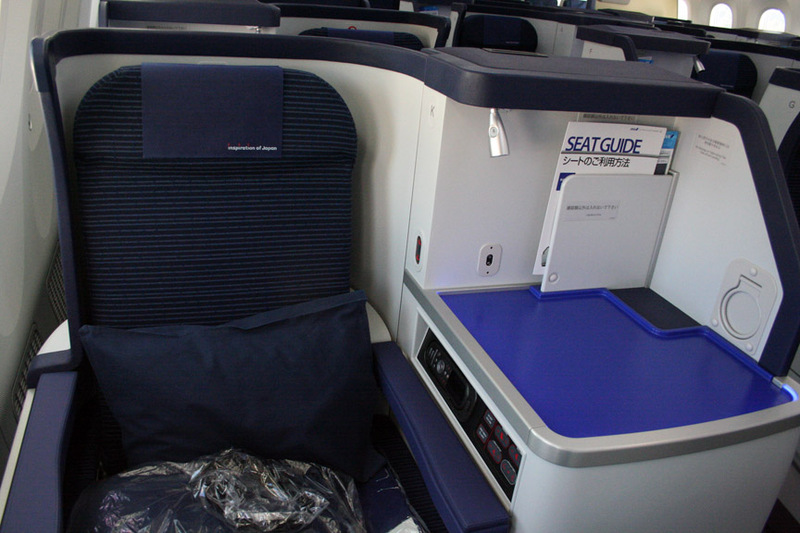 According to SeatGuru.com, the Business Class seats on the three-class Dreamliner are 19.4 inches wide with 59 inches of pitch and have flat-bed seats that offer 180 degrees of recline. Business Class seats are arranged in a staggered arrangement so that every seat has direct aisle access and no seat is directly behind the seat in front of it. The recliner seats in Premium Economy are 19.3 inches wide and offer 38 inches of pitch. Standard economy seats are 17.3 inches wide with 31 inches of pitch. In 2012, I had the privilege of riding the first ANA Dreamliner flight connecting Seattle-Tacoma International Airport (SEA) and NRT. 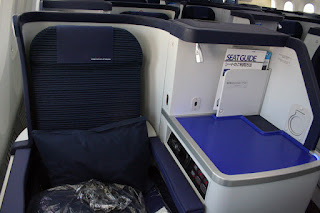 Following that trip, I published several articles about the experience, including an article about the Dreamliner itself, ANA’s Business Class service, and its Economy Class service. All three are available at the links provided.